AIM was founded in 1996 by Chris Kliesmet as “Advanced Integrated Marketing” after receiving an enthusiastic response to a presentation on “Data-Driven Marketing” developed while serving as the VP of Sales and Marketing for an engineering consulting firm. It combined the academic principles he acquired as an electrical engineer and MBA with his practical experience as a sales and marketing executive. Soon, CEOs and other executives became interested in these principles and AIM was born, providing actionable, data-driven marketing solutions to a variety of industries. A consulting opportunity in 2000 led to Chris becoming the Director of Engineering for a division of an international manufacturing firm. 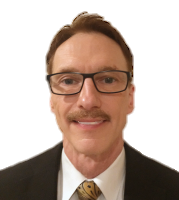 While there, he attended the American Society for Quality’s (ASQ) first Six Sigma Black Belt program and became active in Six Sigma as a founder of the ASQ Six Sigma Forum, a contributor to the Six Sigma Certification exam, and an Editorial Review Board member and contributor to Six Sigma Magazine. A few years later, Chris received a call from a national supplier of technical and engineering personnel and services with a unique proposition. Would AIM would provide project management and expertise in information technology, engineering, Six Sigma, marketing, and manufacturing projects if they would provide the sales, accounting, and HR services in addition to skilled technical personnel needed to complete a wide array of business improvement projects? Accepting this unique proposition, AIM teamed up with the company and directed numerous projects in conjunction with the firm. This expanded AIM’s service offerings well past its origins in technical marketing. As a result, AIM evolved into “Advanced Integrated Methods” better reflecting its broad array of capabilities. AIM has now been in operation for over two decades and continues to provide "effective, affordable solutions to business process, analytics, and data management challenges, large and small."